Four In A Row at HebCelt! A record equalling four goals from Donald and a double from Scott made it a fourth in a row HebCelt title for the club. Uist brought a good squad, thanks to Keith, Graham and Joseph organising, and the 6-nil scoreline was not a fair reflection of their application and effort, although it was well deserved on our side thanks to the clinical scoring by the lads. It was Duncan’s first trophy as manager and will hopefully build for the rest of the season. Thanks to Sean Cameron for refereeing, Crawford MacLellan for presenting the trophy and to all the youngsters who turned up for the youth game at noon, young Zander MacRae visiting from Kinlochshiel was named player of the match after a 3-3 draw. A massive thank you to Caroline MacLellan and all at the Hebridean Celtic Festival for their support and hospitality, Runrig were frankly awesome! Official pics were taken by Colin Cameron but old friend of the club Iain Cochrane was also on hand with some snaps. 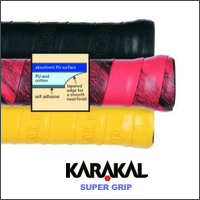 and they can be seen below. 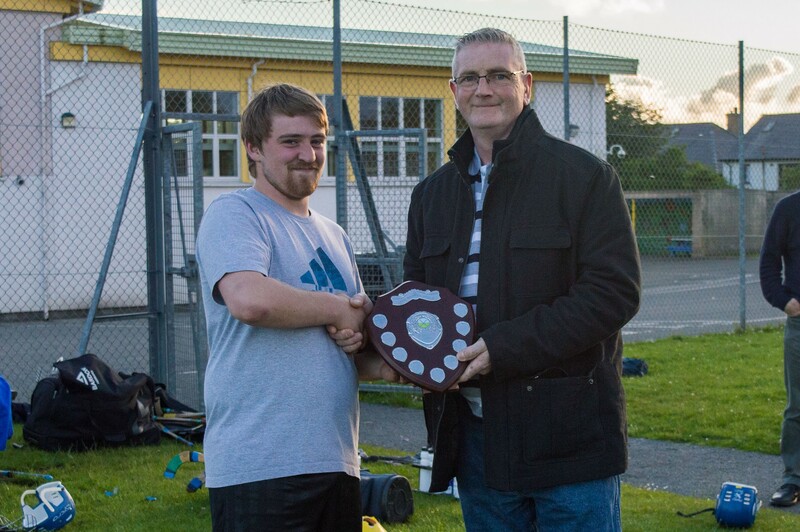 Craig Morrison Stornoway Sixes – Simply the Best! 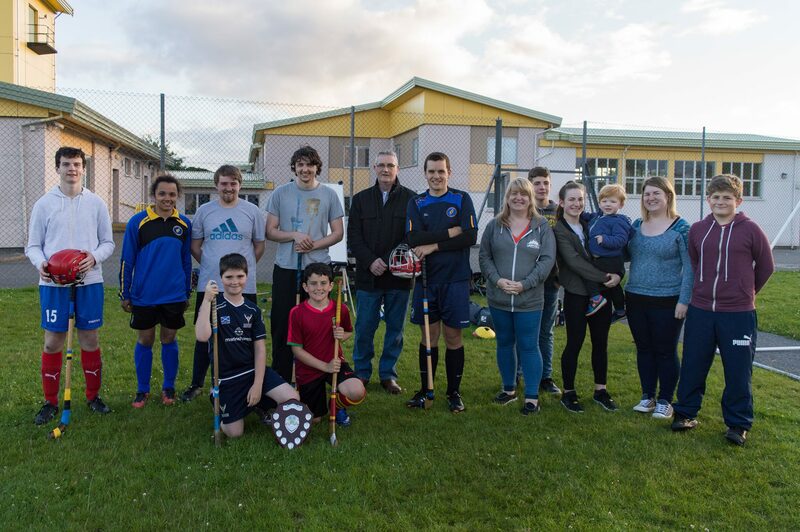 Last Wednesday saw a great night in memory of two Morrisons who are greatly missed by all the shinty community in Lewis. 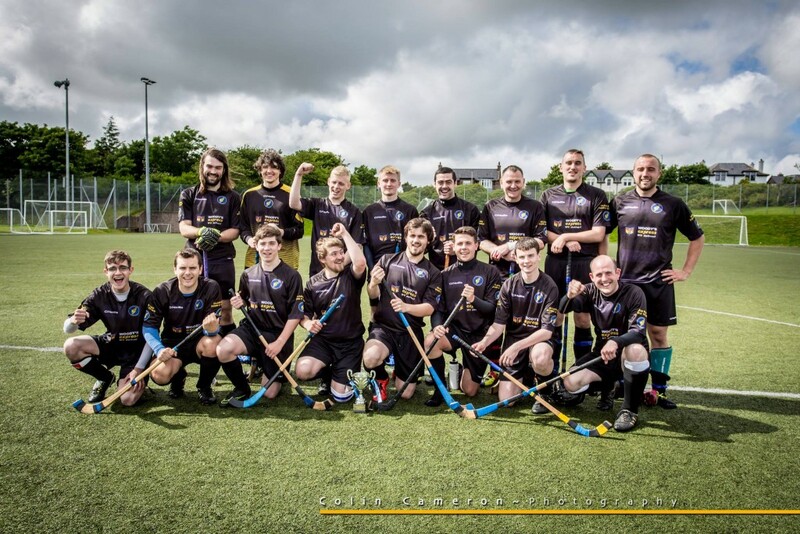 The Craig Morrison Stornoway Sixes had their second midweek running after last year’s successful trial and it once again proved an excellent addition to HebCelt week. For the first time there was a youth competition, with three teams, the Bocan Boys, the Tolsta Terrors and the Juniors. It was won by the Tolsta Terrors with Seumas Mac a’ Ghobhainn winning the local young player of the tournament prize and Calum Murray of Glasgow Gaels winning the overall player of the tournament. The awards were presented by Murdo Morrison, father of the late Diane Morrison. Diane passed away suddenly in 2012 , and in her memory a collection as made from all the players which raised over £150 for the British Heart Foundation, for whom the family have tirelessly fundraised since her untimely passing. The club will now make hold this collection at the event every year. The senior tournament saw a three team double round robin, with both teams playing each other twice. There were Al’s Pals (captained by Al Reed), Simply the Best (Michael MacLeod) and Fiorentina Turner (Peter Gomez). The results meant that Simply the Best and Al’s Pals were tied on points, so a penalty shootout was held. Donald’s penalty snuck past Eoghan so the title went to Michael’s team. He received the shield from Craig’s father Graham and mother Kareen and other members of the family who were in attendance. Rory MacDiarmid was named young player of the tournament, but all the youngsters who took part in the adult competition, including Steven Morrison, Robert Kearney, Lisa Mason, the Murray brothers and Rory’s own brother Conal all looked promising for the future. Ally Lamont edged his brother and Steven Morrison for player of the tournament thanks to some incredible strikes which threatened to burst the net. Kareen said afterwards that Craig would have loved the event. He was a great, enthusiastic personality and his loss in 2009 was a terrible blow to all his family and friends. We look forward to playing tribute to him for many years to come. #HebCelt weekend made for some interesting swings in the Race for the Drams, both Scott and Donald making big strides and threatening the Bottle! It was a small fringe event that has grown into one of the must see non-musical events at every Hebridean Celtic Festival. It is hard to believe that Festival Saturday will see the tenth running of the Hebridean Celtic Festival Inter-Island Shinty Cup between Lewis and Uist. 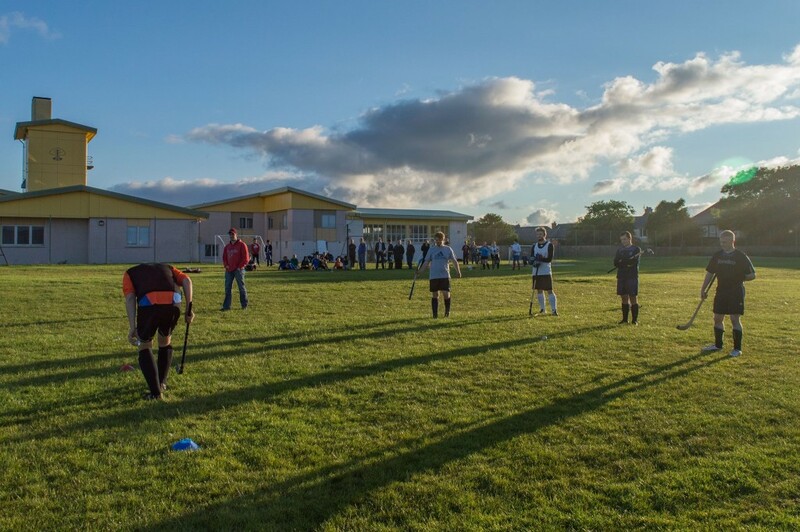 Shinty is an exciting Gaelic sport played by two teams of twelve with curved wooden sticks on a playing area double that of a football field. It is fast, frenetic and full of passion, especially when played by two sides which neighbour each other, and the island rivalry is one of the keenest in the sport. 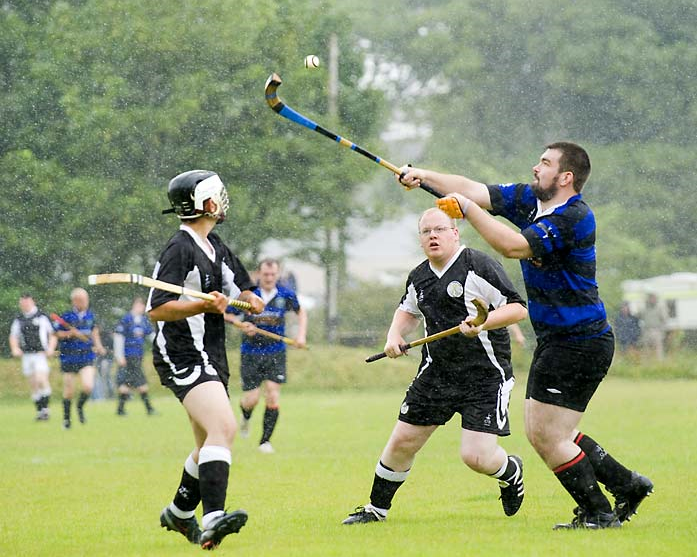 Shinty, also known as Camanachd or Iomain, was the Western Isles’ indigenous sport, as much a part of the native culture as Gaelic language and music, but it died out after the large social changes brought about by the Great War as well as the difficulties in accessing competitions on the mainland. In the 1990s the sport was first reintroduced to Uist and Lewis, but it wasn’t until the mid-noughties that momentum started to build. 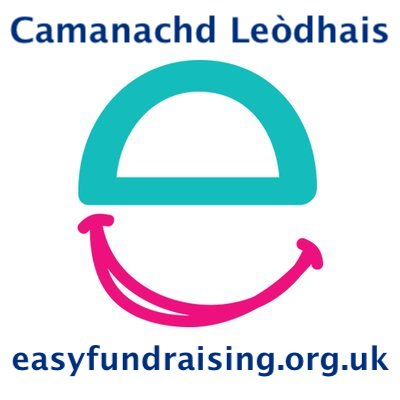 However, the opportunities for competition were still limited, so Camanachd Leòdhais approached the Hebridean Celtic Festival to create an inter-island competition to be played during the festival. 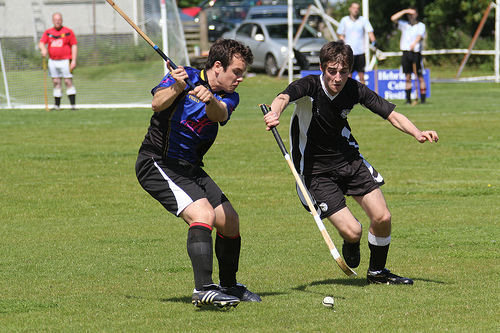 The 2007 game was played against a select of festival-goers but since 2008 it has been versus Uist Camanachd. The competition has contributed massively to the development of the sport throughout the Western Isles. It is a showcase game which has provided exposure and experience. The Lewis club have played now regularly in the national leagues since 2011 and whilst Uist are not engaged in regular competition, they have successfully exported players across Scotland and many will have made the long journey to home to play for their island. Every year has seen the match improve in standard, drama and in the size of the crowd which it attracts. It is played at the picturesque Bayhead pitch directly to the right of the bridge across to the main arena, so you can catch the play before making your way to the musical entertainment. As the Royal National Mòd is held in the Western Isles this year, both sides will face each other again in the Mòd Cup in October but this in no way diminishes the spectacle and stakes of playing in front of a crowd of hundreds for the “HebCelt”. Lewis won a close match last year to secure three in a row, but Uist will be desperate to upstage their Hebridean rivals, which means a great game is guaranteed. 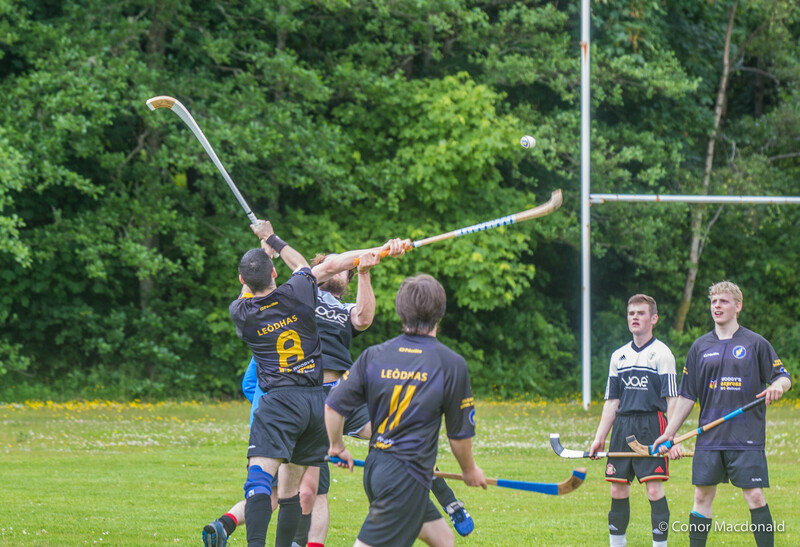 With Runrig closing the Big Stage this year, their famous shinty song, the “Clash of the Ash”, will be ringing out to the accompaniment of two squads of shinty players, one defeated, one victorious, but both having played their hearts out. Dukey is still in the lead but the masses are gathering. Ten goals is the mark though and games are growing short.